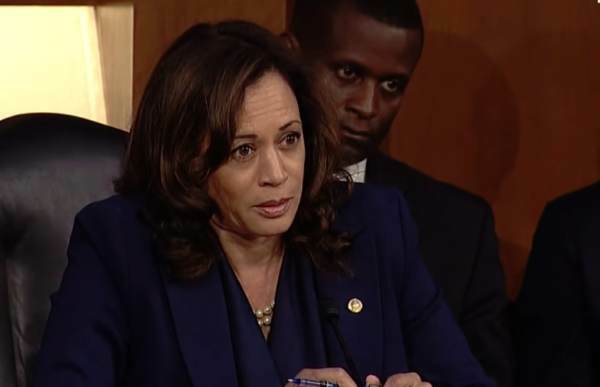 Senator Kamala Harris is shooting her mouth off again without thinking. Sorry Kamala. The Republican Party ended slavery in December 1863. The federal workers will be paid as soon as Democrats agree to vote for border security. 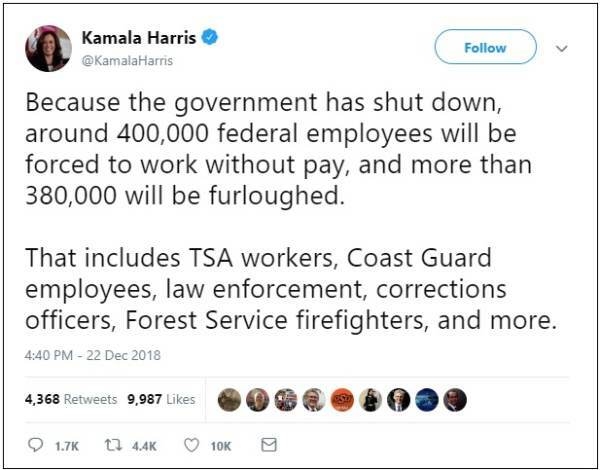 TSA workers, Coast Guard employees, law enforcement, corrections officers and Forest Service firefighters will continue to work and will be paid after the shutdown is ended. The employees will be paid on the 28th. PS: We look forward to the liberal hacks at Snopes and Politifact to jump in and defend Kamala here like usual.